The lowrider car, while inspiring many artists, is especially celebrated by Chicana/o artists throughout the Southwest and beyond. Lowrider cars are “canvases of self expression,” symbols of cultural pride (corazón) and icons of everyday life experiences. They also embody the formation of multicultural communities through a passion for a specific form of car customization. 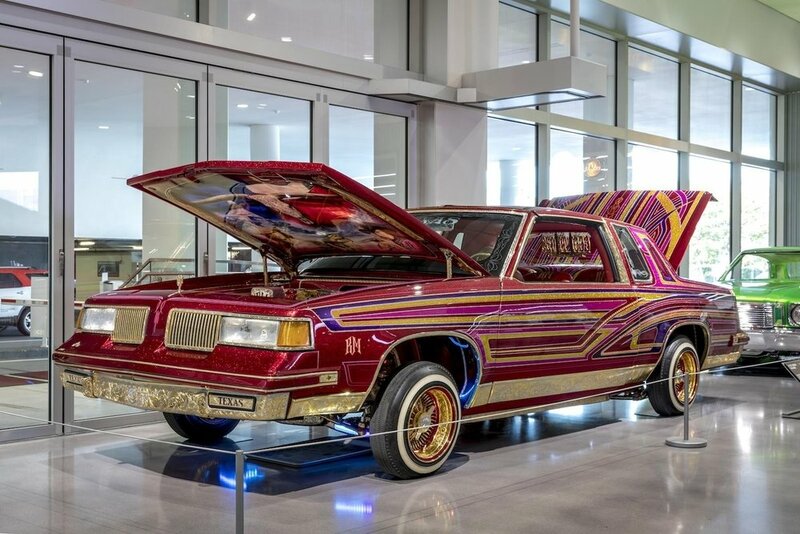 The lowrider has served as the basis of artistic creativity (inspiración) for a variety of international audiences in places such as Japan, Brazil and Spain, among others, and it has inspired generations of artists to engage with its iconography, performativity, and aesthetics. How to Build a Lowrider brought together top artisans and craftspeople in the LA lowrider scene who build award winning lowrider cars. They demonstrated various customization aesthetics techniques such as: Hydraulics, Upholstery, Engraving, Painting, Pin-striping, and Murals.